Hello, friends! I apologize for the lack of posts lately. I was finishing up at my old job last week and started my new one this week, so I've had LOTS of non-paper stuff going on around here! It's pretty exciting, actually! Today we have a BRAND NEW Challenge for you from the Simon Says Stamp Wednesday Challenge team! 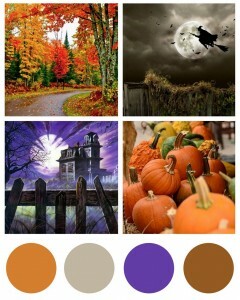 This week we have a COLOR INSPIRATION challenge, complete with an inspiring mood board to jumpstart your creativity! The design team is playing with Stampendous! products this week. You don't have to use them to play along, but we'd love to see them if you have some around! I used some amazing Aged Gold embossing powder from Stampendous! for my card today! 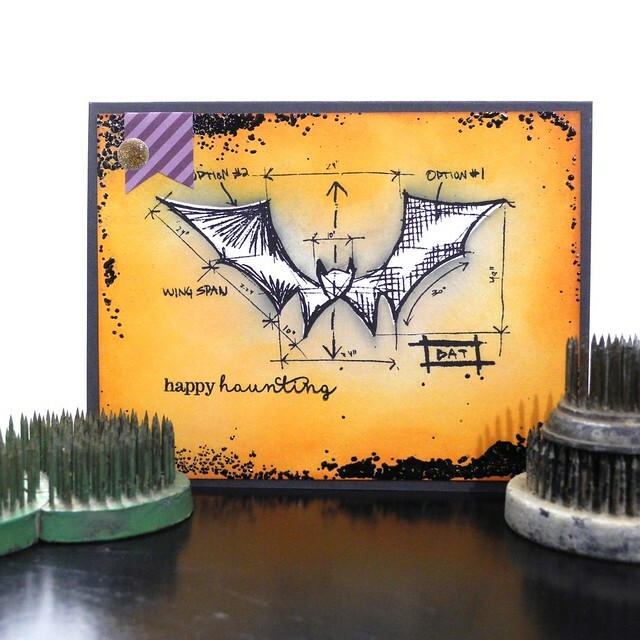 I also used that absolutely AMAZING Tim Holtz bat stamp. I love that stamp. For reals. LOVE IT. I used distress inks to create the background and then added a sentiment from the Winnie and Walter Moonlight stamp set. Now it's YOUR turn! Create something awesome, inspired by the Color Inspiration Mood Board, and link it up over at the Simon Says Stamp Wednesday Challenge blog! We can't WAIT to see what you create! One lucky participant will win a $50 Gift Voucher to the Simon Says Stamp Store! Woot! Woot! 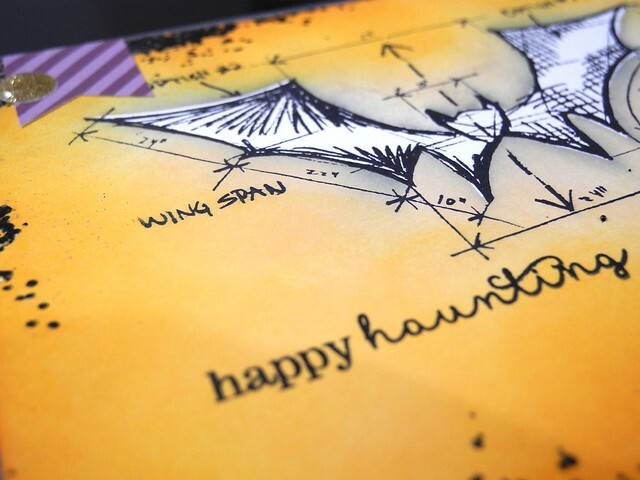 This is just fabulous - love that bat stamp and your gorgeous blending! hey Jingle...this is sooooo FAB, I luv the little purple tab, cuuuute! hope your day is great! A fabulous card Jennifer, a great blended background and super embossed borders.....your bat is fantastic - I love it!! What an awesomely spooky card! I love the shading on the background and the wonderful bat! TFS! Love the inking and that little purple flag!